After attempting many antenna designs to overcome the physical constraints of my back garden, it was time to try a trapped dipole. I specifically wanted to work 20 and 40 meters, so a dipole with a 14.100 MHz trap would be needed. Professional help was required for this project, I needed well-made traps for this antenna to work well. After a bit of research, a company called Spectrum Communication Limited was recommended as a great source of ideas, tips, and hardware. I gave Tony the owner a call to ask for some advice, it was immediately apparent that I had come to the right place. As well as some great advice, Tony also offered to make me the traps and even the entire antenna system if this was needed. 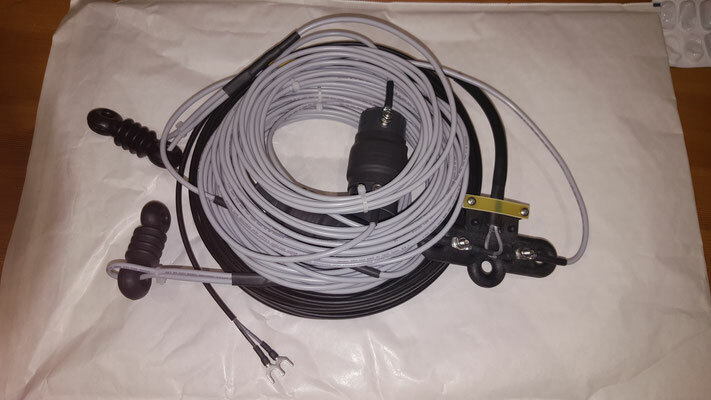 So on this page, I will talk about the antenna, how it was squeezed into my back garden and the overall performance of my new COTS (Commercial Off The Shelf) trapped dipole. A trapped dipole is a dipole with blocking filters fitted at the operating wavelengths. For example, a 40 and 20 metre trapped dipole would have traps installed at the 20 metre points which would prevent the 14Mhz band, effectively shortening the antenna. 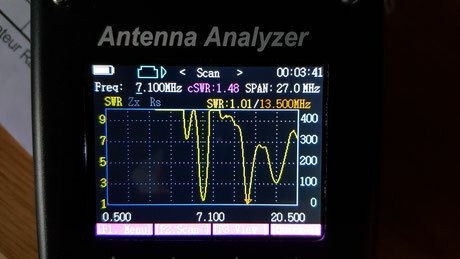 Lower frequencies will pass the trap effectively making the antenna bigger. 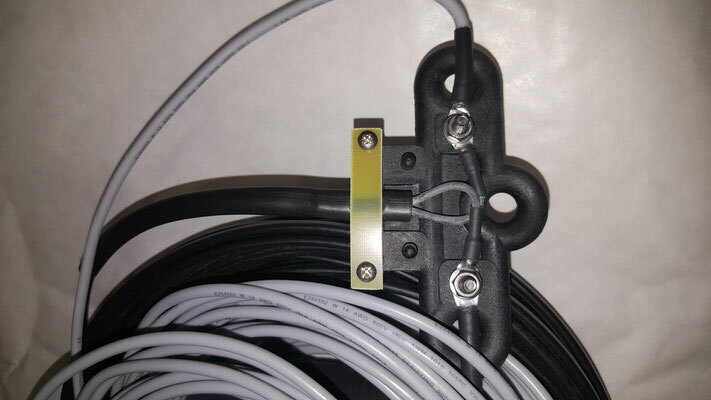 A great way to get maximum performance from one antenna over many bands. 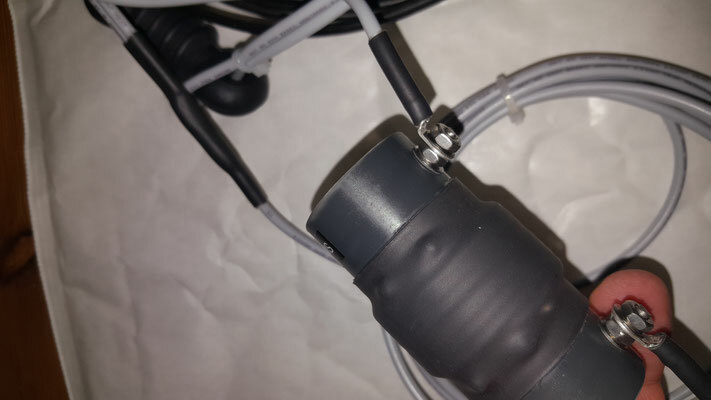 It's also important to note that the overall length of this dipole will be shorter than a regular (untapped) 40metre dipole due to the inductance of the traps. Trap design and build standard are critical to the performance of this antenna. Having the antenna built for me was a real treat. Yes, it's nice to build your own, but it's also good to see how the professionals do it. This top-grade antenna out-performed my own attempts, so for me, there were lots to learn from having an antenna professionally made. Also, the traps needed to be precisely constructed and tested, this may have been beyond my abilities at the time. 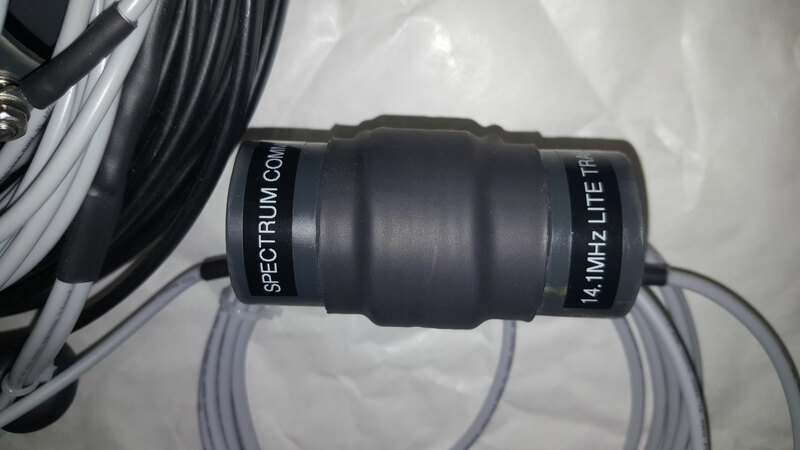 Tony (owner of Spectrum Communication Limited) has been producing professional grade antennas for well over 30 years, all that experience certainly shows in both the hardware and the performance. Spectrum communications recommended the use of twin feeder. The antenna feeder is a critical part of the antenna system so this should not be overlooked. Twin feeder can perform better because of it's noise-canceling properties. Both feeder conductors are subjected to the same interfering radiation which cancels out any pickup. 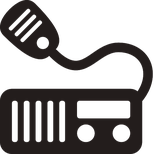 Coax, due to its construction, can be noisy as only half of the conductors will pick up the interference, which can lead to noise. 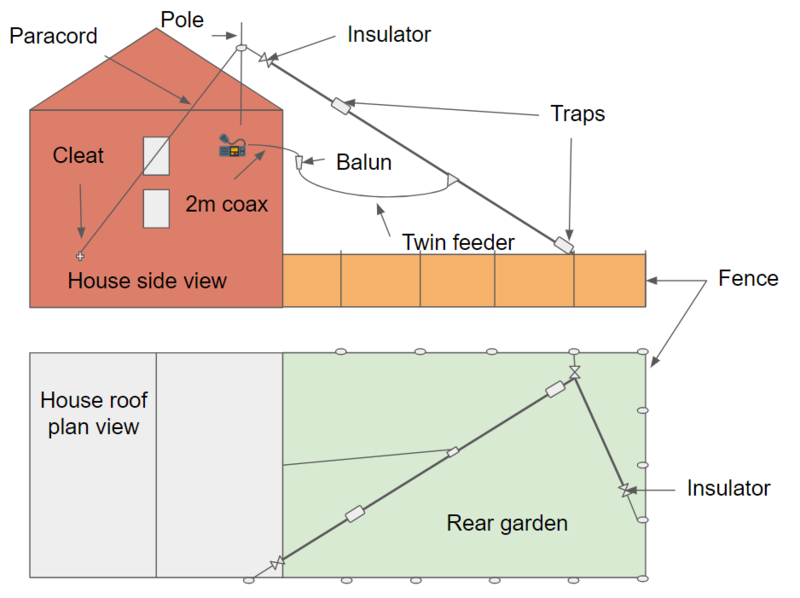 The dipole was attached between my 2metre mast (which is bolted to the side of the house), the other to a corner fence post at the end of the back garden. A pulley had been previously fitted to the mast, this made things a lot easier. There is not quite enough room in my back garden for an entire 40metre dipole. 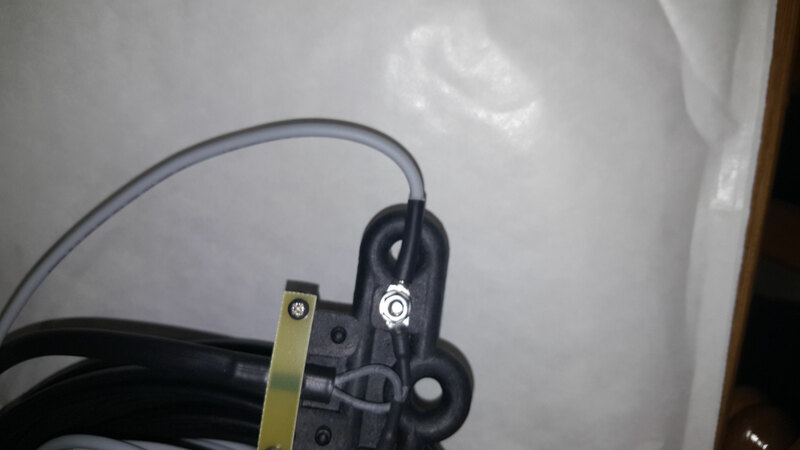 The answer is to bend the dipole a little to fit it in. One end had to be bent at a 90 degree angle which effects about 2 metres of the antenna. This caused the antenna to show slightly different characteristics on 40metres, but really this was not a problem. Note: It's important to keep the dipole away from the house for both health reasons and to keep cross-over interference to a minimum. Wow! This antenna absolutely outperformed all previous attempts. Great low noise performance on both 20 and 40 metres. 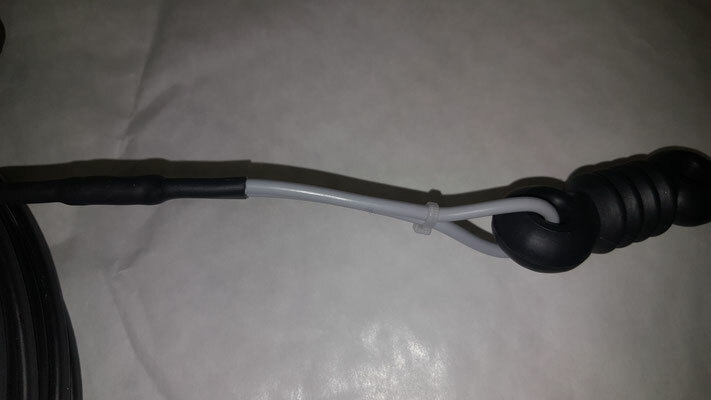 This antenna performs much better than any other I have tried so far. Noise is low, much lower than my previous coax fed antenna systems. 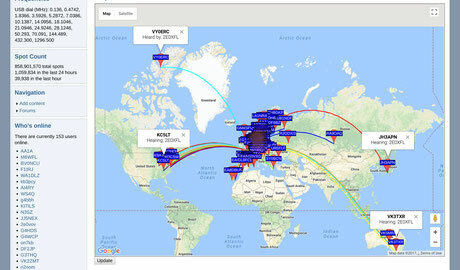 Using WSJT-X I plotted the reach of my shack on 5 Watts of power for a couple of hours in the evening. According to the map, people in Australia were hearing my transmission, this was a huge improvement to my previous antenna. The SWR was a little off on 40 metres, this is probably due to the added kink needed to fit the antenna in my back garden. Build standard, materials and the twin feeder all contribute the great performance. 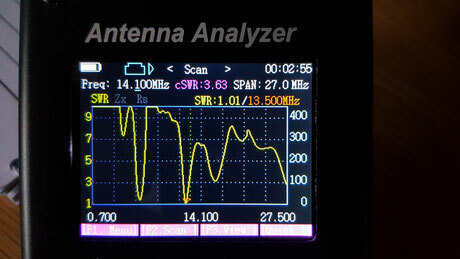 So far this is the best performing antenna I have found for the constraints of my home. Bending one end of the antenna allows me to fit it in to the space available. I'm very happy with this addition to my shack, my HF experience has been significantly enhanced by this investment. For more information about antenna traps and antennas please contact: Spectrum Communication Limited directly.